Rydon Homes’ required name and brand creation for a contemporary development of apartments on Cable Street, London E1. The campaign needed to appeal to private buyers or investors requiring high specification, modern apartments with the attraction and convenience of Docklands style living. The style of the proposed architecture – bold iconic exteriors with a nautical feel and light and spacious interiors were the inspiration for a scandinavian theme. This idea was then translated visually to sell the interiors, exteriors, location and lifestyle. 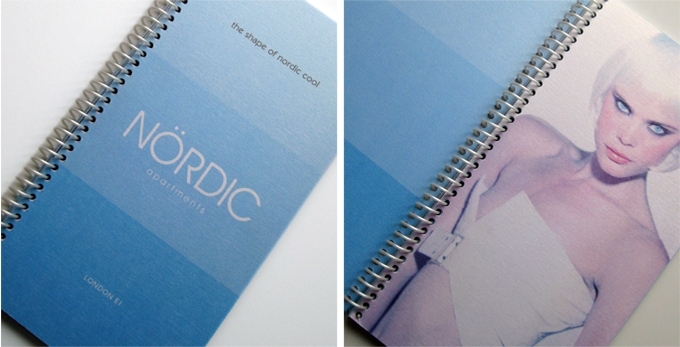 A living experience of ‘nordic cool’. The result was a lifestyle based campaign for ‘The Nordic Apartments’, highly desirable and aspirational to young, career driven and trend conscious individuals looking for a step up on the property ladder.